The Merc with a Mouth gets an arsenal of great one-liners and laugh-out-loud moments whenever he steps out into four colour print. 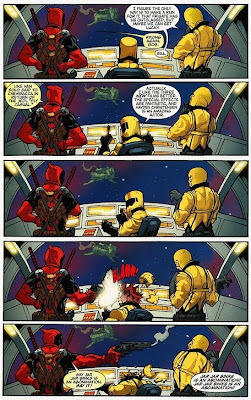 This little pearler from the pages of Deadpool: Merc With a Mouth #5 voices the thoughts of many a Star Wars fan as only the 'Pool can. I;m totally with Deadpool on that one!